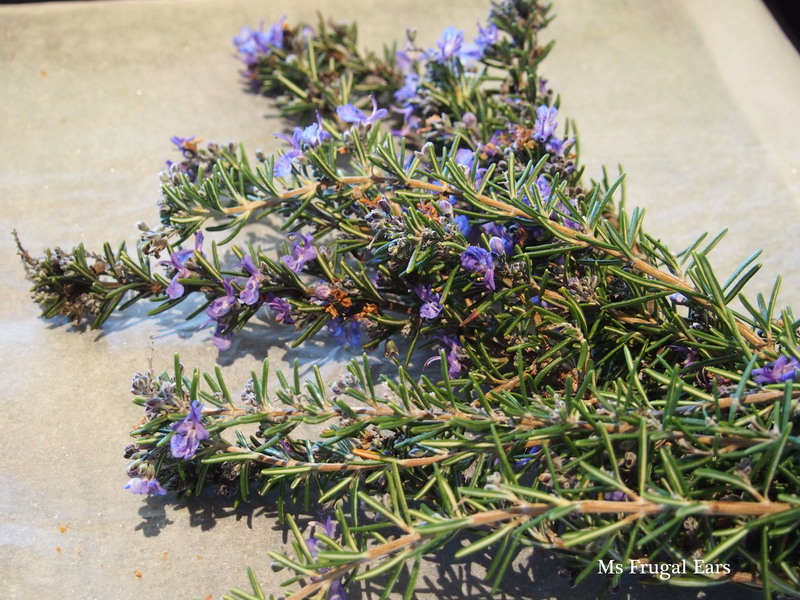 In early spring the overgrown bushes of rosemary in my front garden transcend into a sea of blue flowers. The bees love the flowers, and go crazy buzzing around. 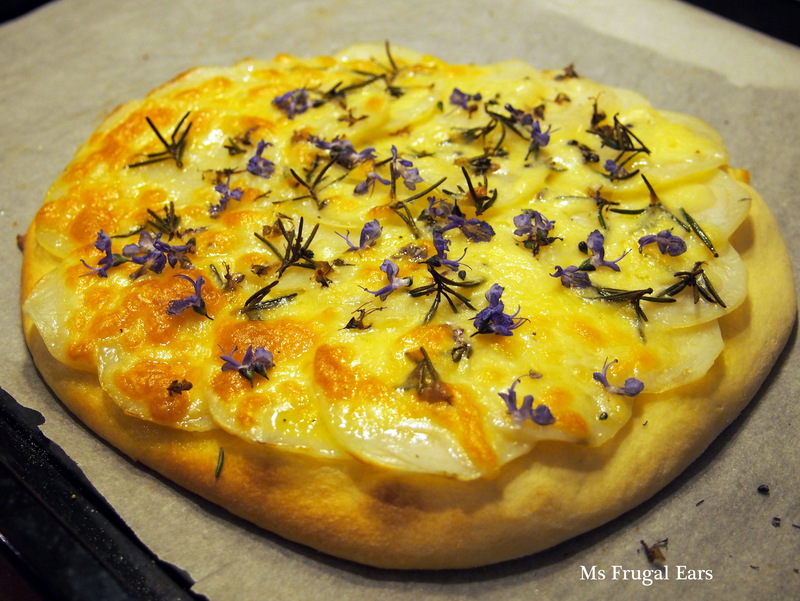 I love cooking with rosemary, and it pops up in many of my dishes. 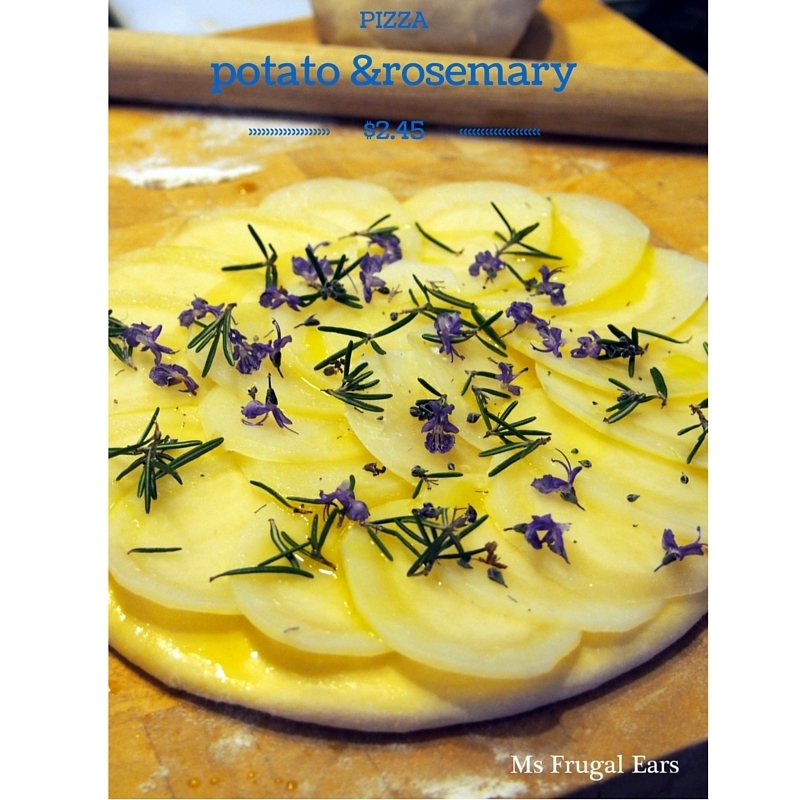 The potato and rosemary pizza recipe is simple. It uses only a few ingredients, and all are cheap. Yet there is something seductive about its simplicity. 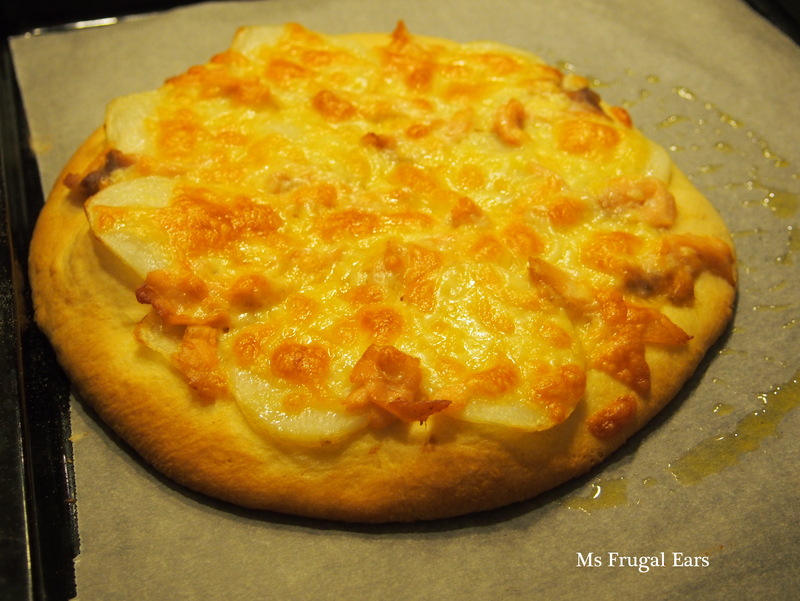 Sometimes I make this with smoked salmon and potato, but usually I find myself going back to the potato original. Try it and you will see why. 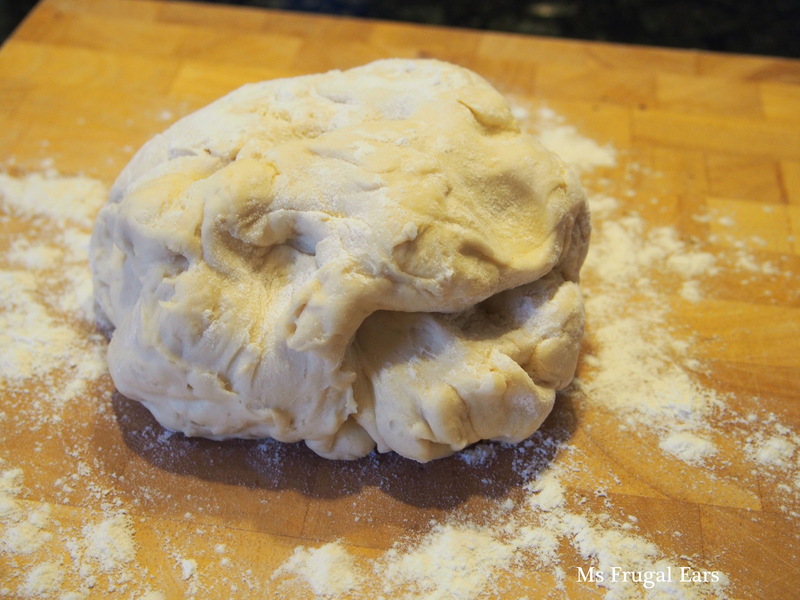 Make the dough by combining all ingredients in a bread maker and pressing on the ‘dough’ setting. 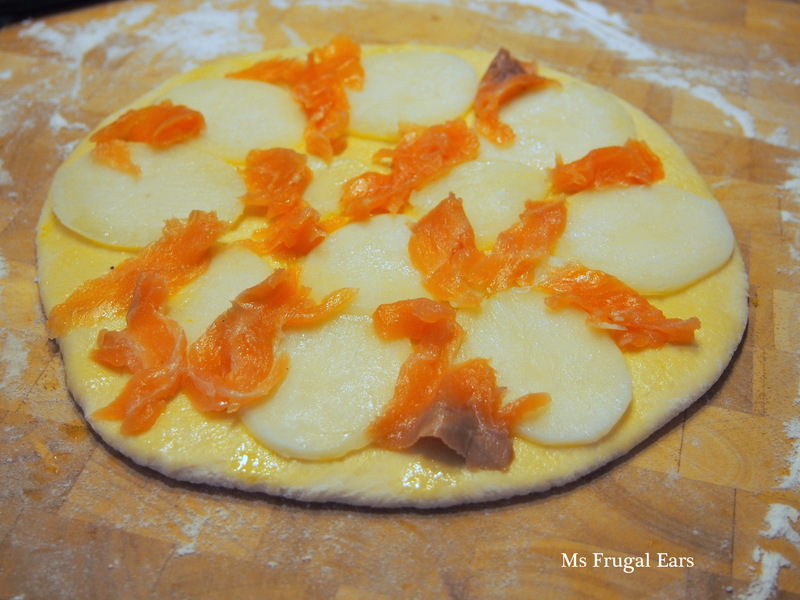 Leave for 30 minutes for a thin crust, or up to 60 minutes for a thick crust. Alternatively, mix the yeast with lukewarm water until it begins to soften and grow. Combine dry ingredients in a bowl, make a dent in the centre and add the oil and water. 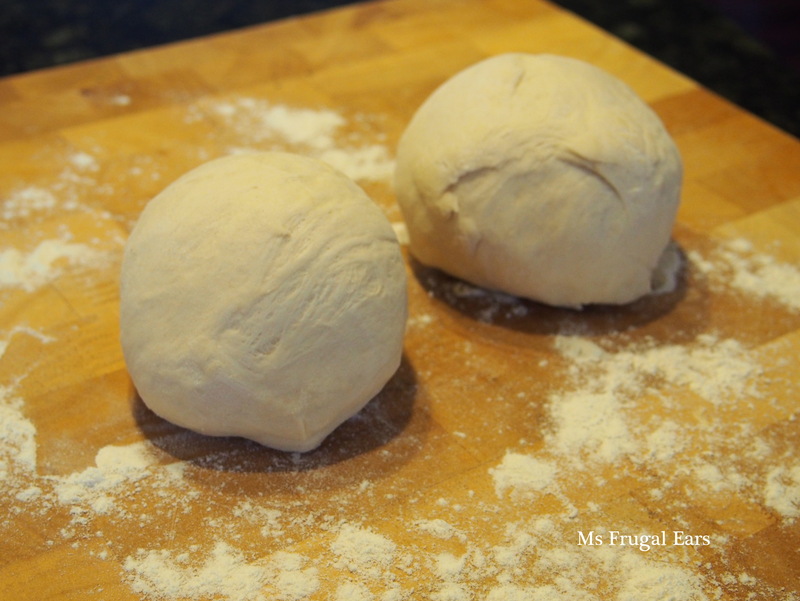 Mix until combined, then knead until it forms a round ball. Place in a slightly oiled bowl, cover with clingwrap or a moist tea-towel and allow to rise in a warm place for at least 30 minutes. Meanwhile, boil or steam the potatoes in their skins until half cooked. Cool, then remove the skins (you may be able to gently scrape them off with your hands). Using a sharp knife or, optimally, a mandolin, cut the potatoes into thin slices. 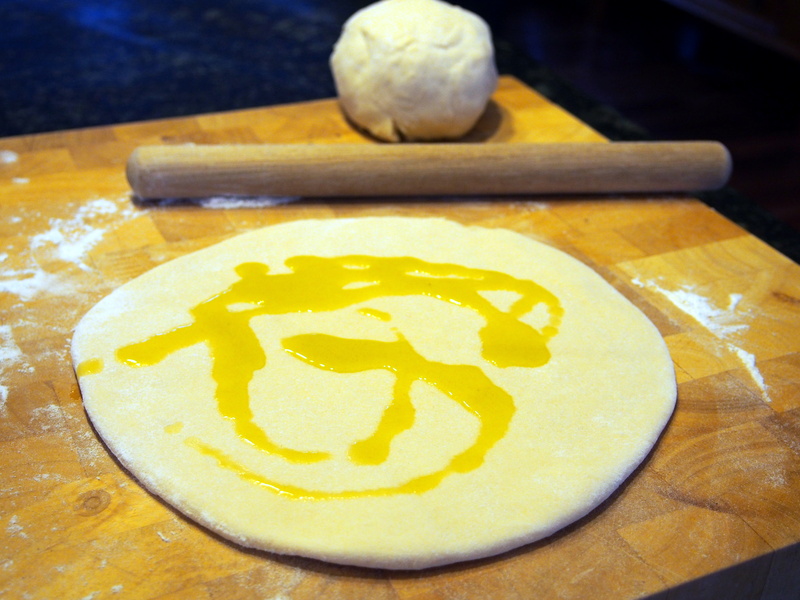 Roll out the dough into circles to make one large pizza or two medium pizzas. Brush with olive oil and prick with a knife. 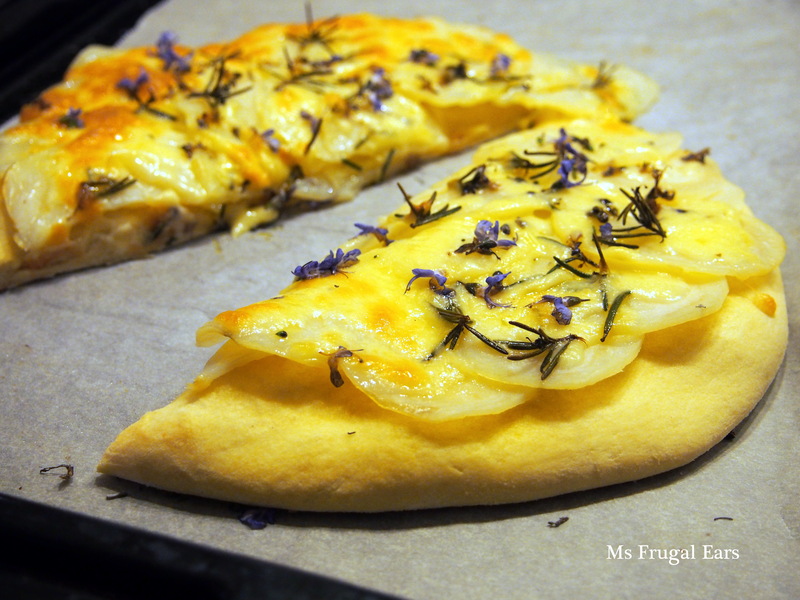 Scallop the pizza with potato pizzas, kind of like a rosette, starting on the outer layer and working in. Sprinkle with rosemary leaves (you can also use rosemary flowers, but they are prettier sprinkled on when the dish is finished). Top with cheese and, if desired, a bit more olive oil. Bake in a hot oven for around 15 minutes or until cooked. Thanks Gail. I have tried to jazz it up with other things (chorizo as well on one occasion) but I always come back to the original combination because it is soooo good.